The Box Point System feature is a great alternative to setting Dimensions. It allows you to set box sizes using a number of points. Each item in your E-Commerce Store also receives a point value. The Advanced Shipping Manager determines, based on the number of points, how many items can fit in a box before using an additional box. Instead of setting dimensions for items, the dimensions would be set for the boxes. 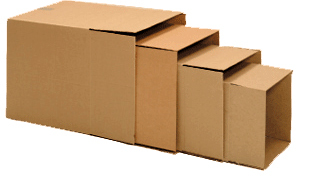 You have three box sizes that you use: Small (50 points), Medium (75 Points) and Large (100 points). A customer orders three items: A telephone (40 points), a keyboard (10 points) and a mouse (5 points). The total number of points for the items is 55. These items cannot fit in a small box which is set at 50 points. The next available box size is the medium box which has a maximum point value of 75. So, the medium box is used and the shipping cost is calculated using the medium box’s dimensions and weight.